The Hopeful Hummingbird: This Week in Mentalists Awards 2013 - Runner Up! 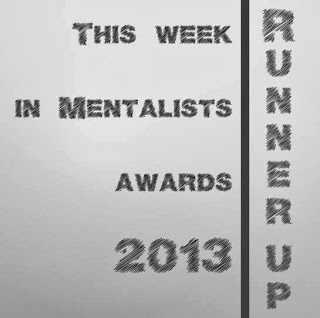 I found out this week that my blog came runner up in the "Helpful" category in the This Week in Mentalists Awards 2013. I'm over the moon! I even got this fancy badge which I'm very chuffed about. Thank you to everyone - to those who nominated me, to the judges, and to those who just read my blog every now and then. It's a wonderful feeling to know that my experiences are being shared with others in a positive light.